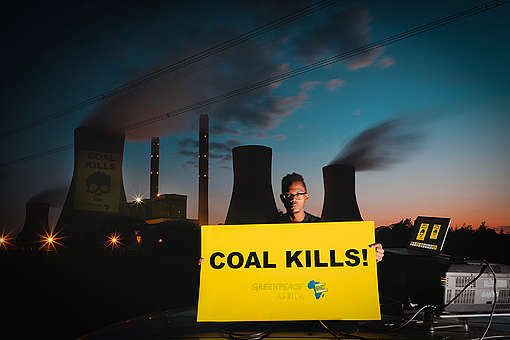 Johannesburg, 6 December 2018 — As the United Nations Framework Climate Change (UNFCCC) negotiations take place in Katowice, Poland, Earthlife Africa JHB – supported by Greenpeace Africa, the Campaign for Just Energy Future and partner organizations – will march in the Johannesburg CBD, this Saturday. 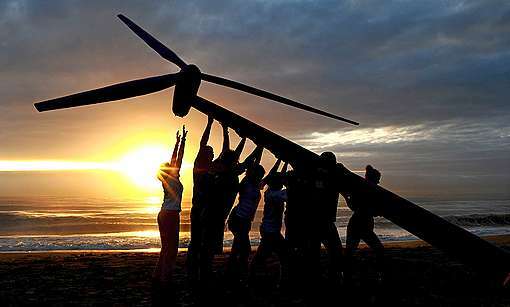 The march aims to highlight how the South African government is disregarding its obligations to its citizens and the global community to switch to clean, safe, carbon free renewable energy to combat climate change. The Mass Climate March demands that the South African Government reduces its carbon emissions through a just transition by massively investing in renewable energy and immediately stopping investments in coal-based electricity generation. Starts from Westgate Taxi Rank (Ntemi Piliso Street) stops at BHP Billiton, Standard Bank, Nedbank and ends at Eskom Regional Office in (Smit Street) Braamfontein. The Draft Integrated Resource Plan 2018 does not fully support a shift to renewable energy, because it still includes coal and nuclear in the electricity mix; disregarding the climate, economy, people’s health, food security and environmental impacts. This will worsen climate change and violate people’s right to clean water and electricity, and in the worst case scenario will even continue to cause human deaths. The government, by allowing Eskom and Sasol – amongst other polluting industries – to continuously be granted postponements from complying with air quality minimum emission standards is violating South African citizens’ rights to the right to breathe clean air. “The recent appointment of Nomvula Mokonyane as Minister of Environmental Affairs provides the department with the perfect opportunity to make good on earlier promises to protect the environment and the people of South Africa. The department has a mandate to ensure citizens right to clean air and an environment that is not harmful to their wellbeing” said Makoma Lekalakala, Director of Earthlife Africa and Goldman Environment Prize winner for Africa 2018.